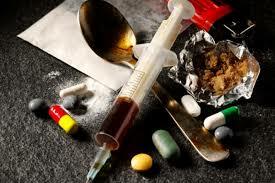 Addicts using centres will be able to use illegal substances purchased from drug traffickers on the street. Move follows revelation Government underfunded hospitals have hundreds of thousands of patients waiting for medical interventions. Centres for drug addicts could cost millions and encourage illegal trade in drugs. The government could soon be pumping millions into centres for drug addicts despite hundreds of thousands of patients being left to languish on the waiting lists of the country’s underfunded hospital services. A bill about to be piloted through the Dail and Seanad by a Fine Gael Minister provides for the development of units where it seems addicts will not only be able to self-inject on the premises but also do so using illegal substances purchased from drug dealing criminals on the street. Introduced by Mrs. Catherine Byrne TD, Minister for Communities, the highly controversial bill has been approved by the cabinet. It is understood to have been discussed this morning as the Taoiseach and Ministers were poring over details of last night’s RTE Investigates programme, Living on the List. The programme revealed the number of patients waiting for hospital procedures or appointments now stands at nearly 600,000, many of them, including children, left to suffer in indescribable agony for years on end. The figure represents an increase of 94,000 on last year’s level. It is not clear whether the horrific and profoundly disturbing scenario highlighted by RTE was considered with any measure of urgency during this morning’s cabinet discussions. However, what has emerged is that the government has made a priority of a bill designed to clear the way for places where it looks that addicts will be helped shoot up illegal drugs under the supervision of medical professionals. The Government’s aim, according to the mother of five Byrne is initially to roll out the project as a pilot scheme. From that beginning, it looks that the programme will eventually be extended to the country as a whole. The cost of the undertaking could, it’s estimated, spiral to millions of euros annually, without any obvious benefit other than to lubricate the ease with which addicts will be able to use or consume illicit drugs with the full protection of the State. Health Minister Simon Harris has welcomed the Government’s decision to support the publication of the bill. The measure will allow him to issue a licence to operate a supervised injecting facility. Addicts will be able to “self-administer, by injection, drugs they have brought with them.” They will be exempted from the offence of possession. Speaking last night, Harris said he was “ashamed” at the suffering which the RTE Investigates programme had exposed. Her statement does not mention the human cost to the health threatened children and adults among the 535,000 left on the waiting lists of hospitals fund-starved by the current and previous Fine Gael-led governments. Many will be deeply troubled that the people are about to be dragged into a scheme for drug addicts where apart from having to fund the envisioned drug using the programme they may also be unwittingly aiding and abetting the illegal drug trade and pushers of illicit substances on the streets. The bill indicates that addicts using facilities will have to purchase the illicit substance on the outside. How is this to be read if not that it is the Government or State openly legalising or turning a blind eye to morphine, heroin, cocaine, amphetamine, methamphetamine, illegally procured prescription drugs and much more besides? Is it not suggesting to young people that drug consumption is trendy to the extent it is backed by the political establishment? Does it not also at least imply that the drug lords are winning, that the gardai have lost the war on drugs, and that people could see more and more children falling victim to addiction owing more readily available dangerous and highly addictive illegal product? Can we afford the massive price, socially and economically, that this liberal government drug venture is destined to cost all and sundry soon into the future?